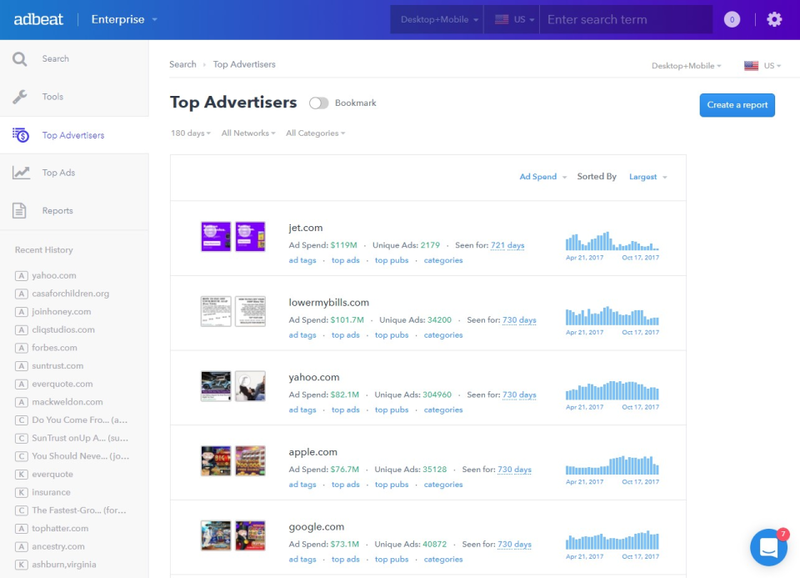 Adbeat is used by advertisers, agencies, publishers (media property owners), and ad networks from a wide range of industries including e-commerce, healthcare, finance, and fashion. 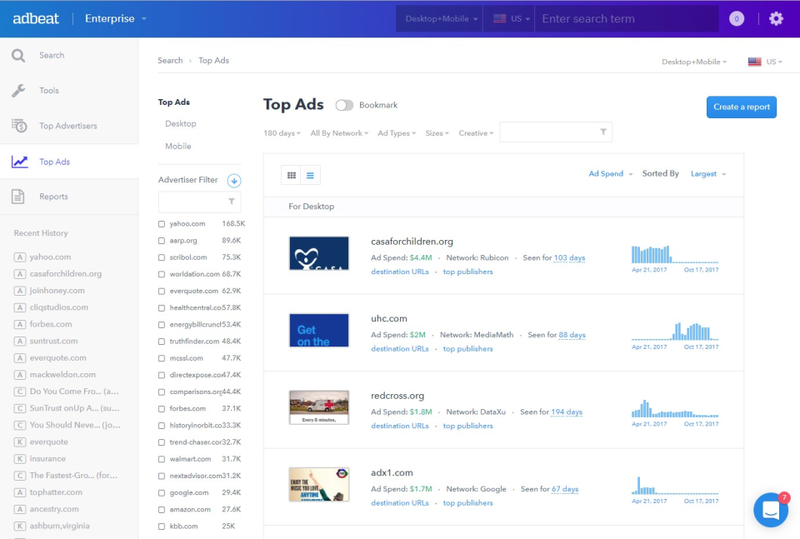 Adbeat makes your digital advertisement campaign working for you, bringing it to a qualitatively new level. 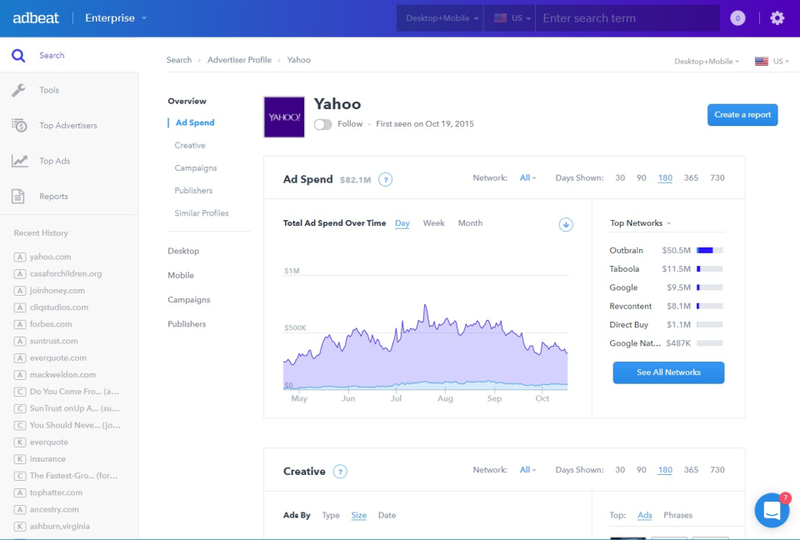 Optimize your advertising strategy with the help of Adbeat, save the budget and uncover competitor's marketing strategy. 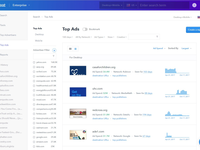 Find out the possibility of getting the best quality traffic through the Adbeat data and insights on over 90+ ad networks, including the Google Display Network, Adblade and others. 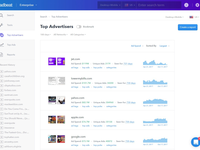 Pros: The complex and deep insights provided by this platform can be found nowhere else and that itself is its strongest selling point. Cons: The user interface should be much more streamlined and easy to navigate for newbies and business users. 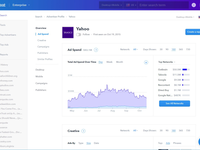 Pros: Good Product and very nice features and services. The free version is a very good trail for the overall service. The interface is great and the demo is nice. Overall: Good Competitor market intelligence, Having said that the data pertaining to india is limited. One more thing they should pay attention too.